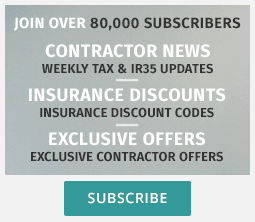 IR35 Contract Reviews are the first step in determining IR35 status. Contractors who are, or are hoping to operate outside IR35 should have their contracts reviewed by a professional. It is important that any necessary amendments are made to the written terms as early as possible and it also shows that you have taken ‘reasonable steps’ to ensure that your contract is outside the IR35 legislation. In an enquiry, the written contractual agreement will be the first thing HMRC will want to look at to ascertain whether you are operating compliantly with the legislation. As part of a contract review, your working practices should also be reviewed – these are the way in which you actually work with your end client, and shouldn’t differ from the written agreement. Is the provider an expert? – how long have they been reviewing contracts, how many IR35 enquiries have they dealt with etc. Does the product provide a report with recommendations? Will the provider offer assistance if you have queries? Will the provider liaise with your agency when you need amendments made to the agreement? Will the provider re-review the contract for no extra cost? Do you need a fast turnaround? We have negotiated a unique 5% discount with our friends Qdos Contractor for Contractor Weekly readers. Fill in the form below and receive your discount code immediately to use on any of their contract review products.